Stop by the farm and get the perfect carver! There are so many terrific events in the coming weeks at the farm! 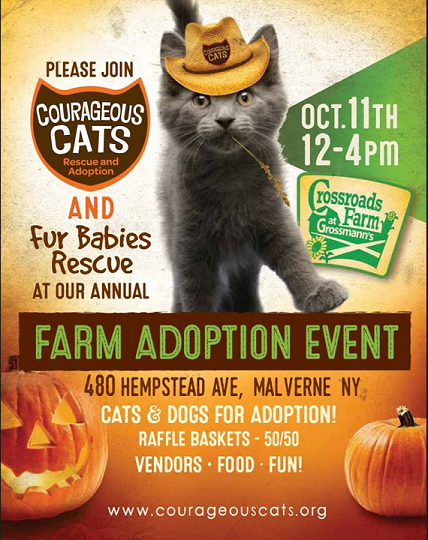 As a reminder, the farm is run by the Nassau Land Trust, a 501(c)(3) non profit. When you come to an event, you are not only having fun and enjoying one of the most precious assets in our communioty, but you are also supporting the farm financially. 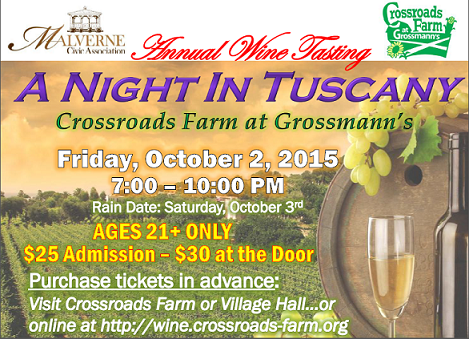 This event was reschuled from 10/2/15 to 10/16/15 due to bad weather on the original date. There is still plenty of time to buy tickets on line at last year’s price! The third annual at the farm. Always a festive and fun evening under the stars. 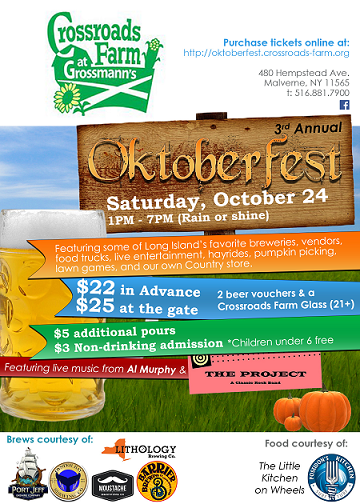 Click here for more information and tickets. We want to thank Bevmax and Mike Berkoff of Franklin Square for being a sponsor for this even! 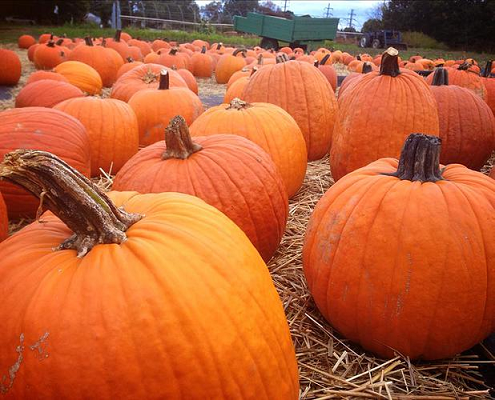 Always a fall favorite at the farm! Click here to buy tickets online. Click here to join the event on Facebook. 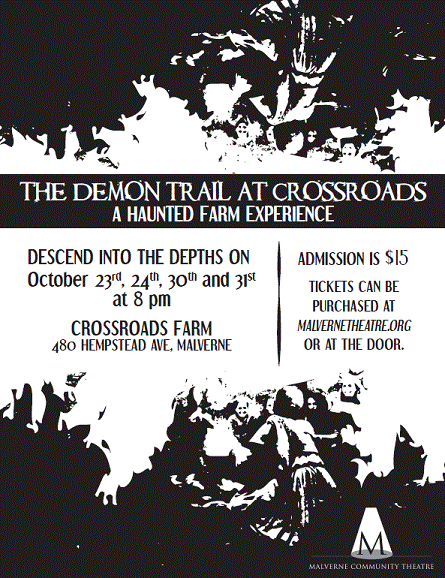 “The Demon Trail at Crossroads”: an adult haunted farm experience! Tickets are now $10! Performances at 8 PM on 10/23, 10/24, 10/30, and 10/31. 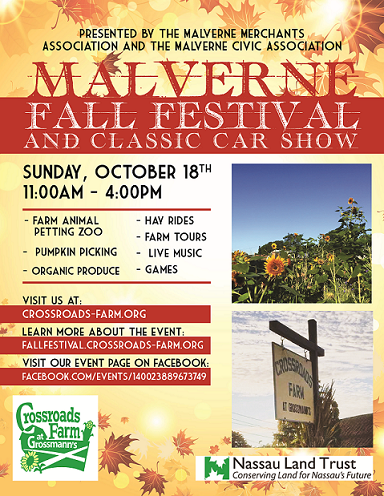 The Malverne Community Theatre presents an interactive theater event for children followed by a costume contest and Hallowwen party. Starts at 12 noon on October 31st. Tickets $5 per child at the door.